That’s right, I said it: storage solutions for stitch markers. Man, I like alliteration far too much. 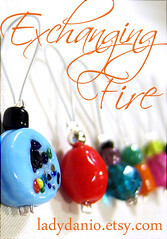 Ok, so by now you’ve fallen prey to the siren call of handmade, prettified, dangly, sparkly, adorable stitch markers. You have them in all shapes and sizes, colors and styles, bejeweled and bedazzled, and plain janes that are perfect in a pinch. But there’s a downside to having enough stitch markers to decorate all of your digits – where can you store them all?! Feeling a little overwhelmed yet? That’s what I thought. But don’t worry! 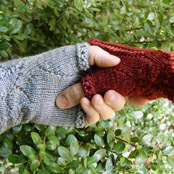 I’ve got several solutions that will have you knitting happily away very soon! I was inspired to write this post after I saw how happy Abigail from KnitLounge was with her Snap ‘n Go Notions Case™ in red. 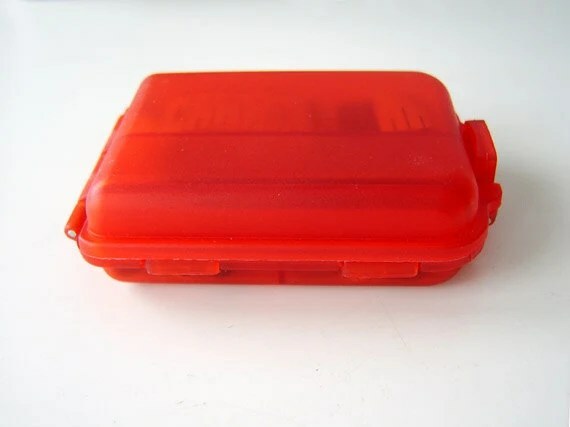 It’s a great little case – everything is very compact and fits neatly inside and there are plenty of fun little compartments for stitch markers. But I don’t know, there’s something sad about having all of your pretty things buried and hidden away all of the time, like when you put all of your pretty baubles in a jewelry box. I certainly need notions cases and jewelry boxes to store my favorite sparklies, but I also like being able to show them off, too. 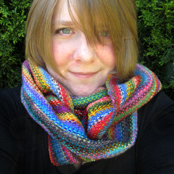 My best friend, knittingale, has long been a member of the decorate-with-your-jewelry club. She has a wall in her closet hung with a lovely silken shawl, and has all of her jewelry pinned to it. When you open the door the first thing you see is this gorgeous bohemian wall that just shines in the light. Recently, she decided to give her stitch markers the same treatment. Down in her den/craft room she hung all of her stitch markers on a bulletin board to keep track of them – she said she laughed when she’d organized them because she hadn’t realized how many of them had been made by me for her! She loves the way they are both decorative and on display all the same time. Best of all, because this is the family room area of the house, whenever guests visit they admire her board and often can’t help themselves but need to come over and fondle the pretty styles and gleaming bright colors. When she needs a particular set, she grabs them off the wall, pops the set in her notions case and goes. I really like her corkboard. If you want to make this same style but kick yours up a notch, simply take a nice piece of fabric and some ribbon and staple or glue it around the edges for a finished look. Here are a couple of quick tutorials – one for a plush, quilted look and two others with framed out and vintage styles. 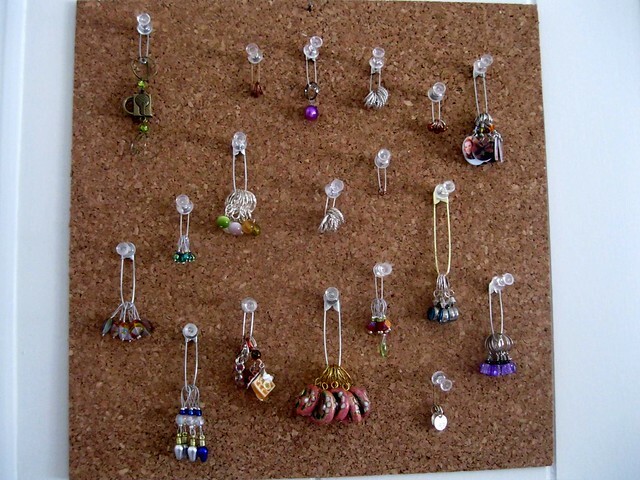 You can use a variety of objects to hang your stitch markers – everything from safety pins to stitch holders. 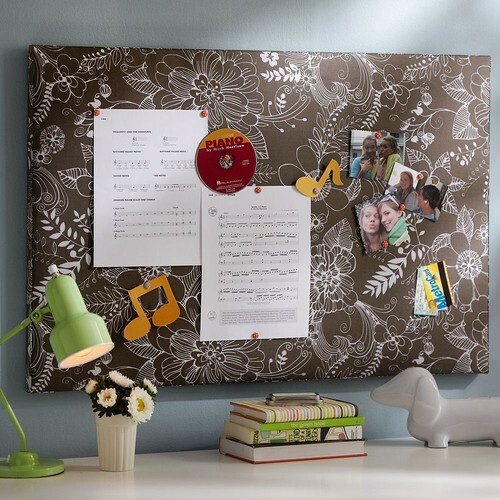 Corkboards aren’t the end-all, be-all, however. My grandmother, whose Depression-era background makes her the epitome of creative budget craftiness, always hung her brooches on the wall in her bedroom in a vintage wooden picture frame she’d found at some flea market. The wall feature was very stylish and made her jewelry look like a professional art piece. She used a sturdy piece of black velvet and padded the back with polyfill and that worked very well to hold up her pins. But I found something even better to do with a nice vintage picture frame. I was enchanted by blogger Smart and Sassy with Sprinkles‘ mesh picture frame for hanging her earrings on, which is such a simply construction but has this elegant look when it’s all decorated. How clever is that? The link above takes you to her how-to, by the way. If you are trying to do for a style that is less “screen door chic” then I recommend switching out the metal insert on the frame with something softer – perhaps lace? Tanya from the Trey and Lucy blog made this awesome guest post at Ucreate, and I’m in love with her delicate, lacy mesh fabric backing for her teensy sweet earrings. The Vintage Lemon has a lovely DIY tutorial for a similar project. If you are suspicious about just how well something like lace will hold up with all of your stitch markers, you can always go for a funkier variation, like burlap. 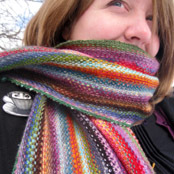 Maybe your crafty gene doesn’t tend toward using implements sharper than knitting needles. Whatever the case, sometimes simpler is better. 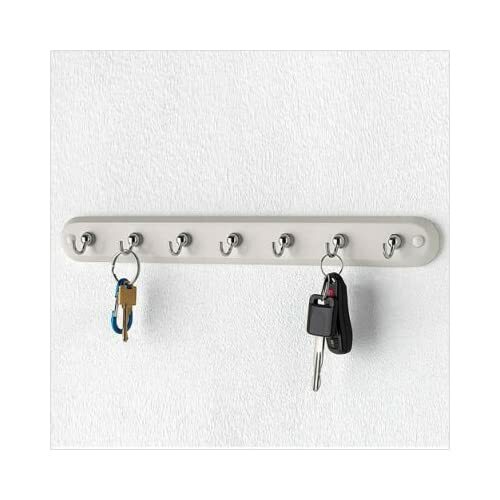 Head over to the store and buy yourself a key rack holder. Just make sure that the hooks aren’t huge. Pop that up on your craft room wall with some nails (but please, if you aren’t handy, don’t touch the hammer – let a professional hurt their thumbs) and you are good to go! They’ve even got some pretty cool designs out there in key holder world. 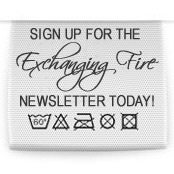 While I’ve listed a few of the big and bold ways to display your stitch markers and other knitting and crocheting notions, there are many many more. Try one of these ideas below for easy ways to show off your favorite stitch markers, no matter what your decorative style is like. 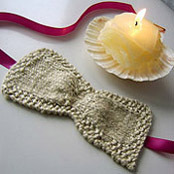 For the romantics, take a long piece of ribbon and tack the ends onto the back of a dresser or across your mirror. Pin your stitch markers to it for an instant bejeweled banner. If you are more of a hippie, one of those Tibetan flags would work fabulously strung across your wall with stitch markers tacked to it. For the hipsters in the crowd, recycle a damaged roll of film and stick stitch holders through the tiny holes at the bottom and top that usually keep the film moving in the camera. Slant it across your door and voila. If you have a streamlined, mod style, buy those clear, round stacking containers that screw together, where the bottom of one container is also the top of the one below it. You’ll be able to see exactly what you want and the tower can sit nicely on a shelf. Try color-coding your stitch markers by container to create a stunning rainbow effect. But however you choose to store your stitch markers, don’t forget to enjoy using them as well. Happy knitting! This entry was posted in Stitch Markers, Techniques and tagged bulletin board, cork, corkboard, decorative, display, diy, do it yourself, earrings, fabric, glue gun, hippie, hipster, how to, jewelry, key rack, make it, mesh, mod, notions case, picture frame, ribbon, romantic, snap n go, solutions, stacking container, stitch holder, stitch marker, stitch markers, vintage on August 20, 2011 by LadyDanio.